Back by popular demand Skunk-Truck & Lucy! My exhibition has now moved to the 488 Cafe in the Oracle Building in San Jose. I have an art exhibition up at KALEID Gallery March 3 - March 31. This March KALIED Gallery Presents: Skunk-Truck & Lucy. This whimsical show features Donny Foley’s latest series of large scale Word Paintings. 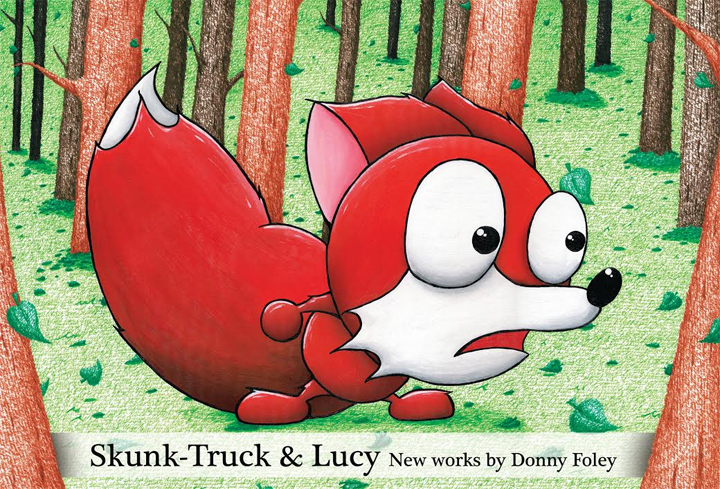 Each painting depicts a single story, but together they create one giant story, the tale of Skunk-Tuck & Lucy. Donbon's Fairy Tales OUT NOW! I'm very excited to announce that my children's book Donbon's Fairy Tales is OUT NOW!! You can order your very own copy by clicking on the "Shop" tab.